Hello crafts friends, how is your year end and projects? I hope everything is alright. Let's go to another craft pattern to feed our knowledge and experience in this beautiful world that we love. Also leave comments on how you managed the beautiful works with our standards shared with us. I love receiving photos of the work of our readers, send us the messenger of our page that I leave available at the end of the story. So let's go to what matters, which is one more standard, which is quilt / patchwork today. The technique of patchwork is a great trend of craftsmanship known as crochet, it is an old technique and has a level from simple to more complex, is a technique of the ancients and is to this day more modernized and more and more beautiful. Do you know the meaning of the word "Patchwork"? The translation means "working with retail". So let's learn a little more in this post about this incredible pattern from today, read on and we're going on this new adventure. The quilt looks very beautiful and enchants the environment where to leave with its simplicity and its colors. There are a multitude of ways to use Patchwork in decoration and this technique is very versatile, allowing you to create the most varied shapes and combinations of different colors, patterns and textures and bring more joy to your environment. 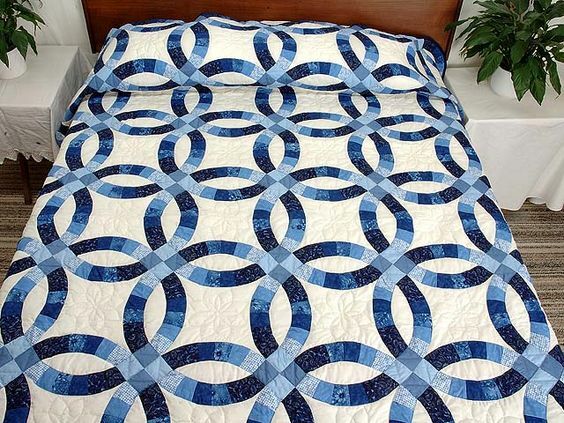 This quilt is great for changing the environment and making it more cozy, also great for giving a wedding gift. 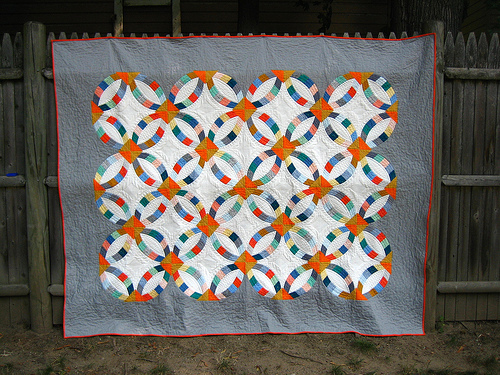 He is one of the most beautiful quilts, any bride would be happy to win as a gift. The top quilt is 62 "x 73". Make beautiful works with this pattern, can make two colors or one, is at your discretion. This pattern has a wave designer that is thus forming a very modern and beautiful drawing to make. I leave below a photo with the result of this beautiful pattern to serve as inspiration for you. Below this photo with the simple and beautiful result, we have the link with the PDF available of this pattern with the step by step of this model pattern which is what I left in the photos of the final results. I also leave a video tutorial at the end to understand better. This pattern does not require much practice and knowledge to do, nor does it spend much to do. I hope you enjoyed it and enjoy it.